Signature control is a very important field while creating Agreement Forms. It provides a text field where a user can enter his/her name. This name is automatically converted into a signature format and added to the document. Digital Signatures can be used to comply with legal and regulatory requirements in your workflow. 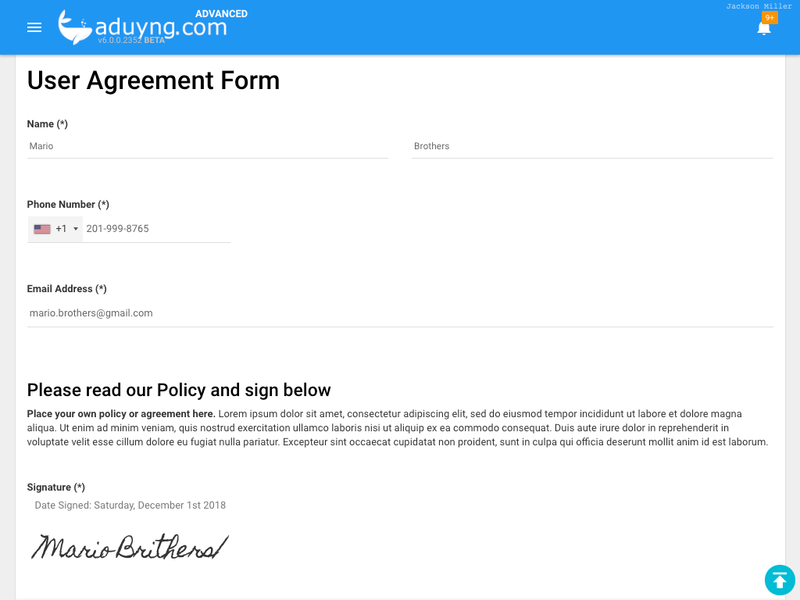 To add Signature control to your form, simply drag and drop it from the control panel to the form-design area. Once the form is submitted, the submitted form will look like this. To export Text values, click on EXPORT button and select the desired formats. To filter documents using Signature field, click on FILTERS and select it from the list of filters. Once the filter is added, you can now click on the filter filed and enter a text based on which the documents will be filtered as shown below.